As the weather turns warmer, your thoughts may turn to spring cleaning – a task that delivers its own rewards. The sense of satisfaction you get as you clean and go about the task of decluttering is probably doubled once the task is complete. However, it is important to avoid a few things when spring cleaning to minimize the risk of creating more work for yourself in the process. Here are a few mistakes you should avoid while spring cleaning and figuring out how to declutter your home this year. While it may be tempting to simply get out your cleaning tools and begin spring cleaning right away, it is best to tidy up first. Taking the time to declutter each room before you begin scrubbing and vacuuming simplifies the job of cleaning for you. It is easy to forget to read the labels attached to your cleaning products. After all, you’ve probably used them a dozen times. If you use the wrong product to clean certain items in your home, you can damage their appearance. Make sure to read the instructions on the proper way to use these formulas before you begin and always avoid applying too much product on an item. Some cleaning formulas contain toxic ingredients, particularly if you mix two or more cleaning products together. You should always avoid using products containing ammonia and bleach together because this combination is deadly. Although you can find plenty of aerosol products in the store, you should not use them for spring cleaning. Many of the formulas placed in aerosol containers include chemicals in them. 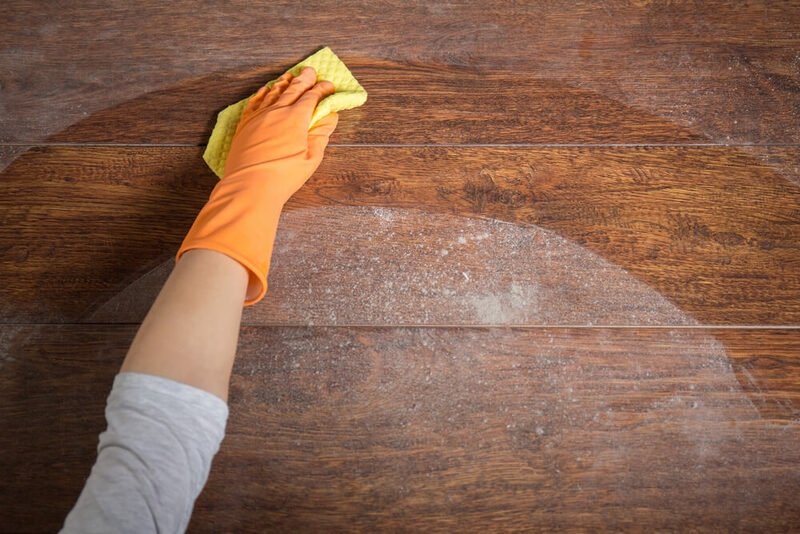 While you may do an excellent job getting the dust bunnies from under the bed and putting a polished sheen on your furniture, you are also placing an overload of dangerous chemicals in your home’s air. While it may be tempting to minimize your clean-up by using the same rag or sponge to clean your entire home, it is better to use a different one for each area of the home. It’s so easy to spread germs and dirt if your cleaning aids are soiled. Spring cleaning involves a lot of decluttering and dusting to get your home looking its best. Some of this work is going to involve rarely used surfaces that are easily forgotten during weekly cleaning sessions. If you avoid using a dry cloth or mop to dust these surfaces, you can prevent a lot of the dust from getting into your air. Whenever possible, you should dampen your cloth to contain the dust. As you figure out how to declutter and tidy up your home, the task of spring cleaning becomes simpler and more enjoyable. The sense of satisfaction you get only improves as you spruce up your home’s appearance. You should remember that to do so easily and quickly, you should declutter before you begin the tasks commonly associated with spring cleaning, including dusting, polishing, washing, and scrubbing.